The modern Borough of Hackney – founded in 1965 – is composed of three historic rural parishes: Stoke Newington; Hackney; and Shoreditch. The Victoria County History of Middlesex series has published detailed histories of two of these parishes – `Stoke Newington’ (vol. 8, with Islington) and `Hackney’ (vol. 10). An illustrated history of Hackney, aimed at life long learners, has been created by The Building Exploratory. Brickfields covers the Roman, medieval, Tudor, Georgian, Victorian, pre-WW2, and post WW2 periods through the common themes of: Landscape; Homes; Work; Transport; and Relics. 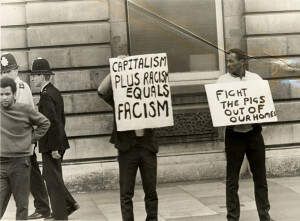 The Radical History of Hackney highlights the dramatic radical history of the borough, its timeline goes back to the late 1700s and the abolition of slavery campaign, and comes up to the modern day through dissenters, radical social groups, anarchists and communists, and the rise of the labour movement.